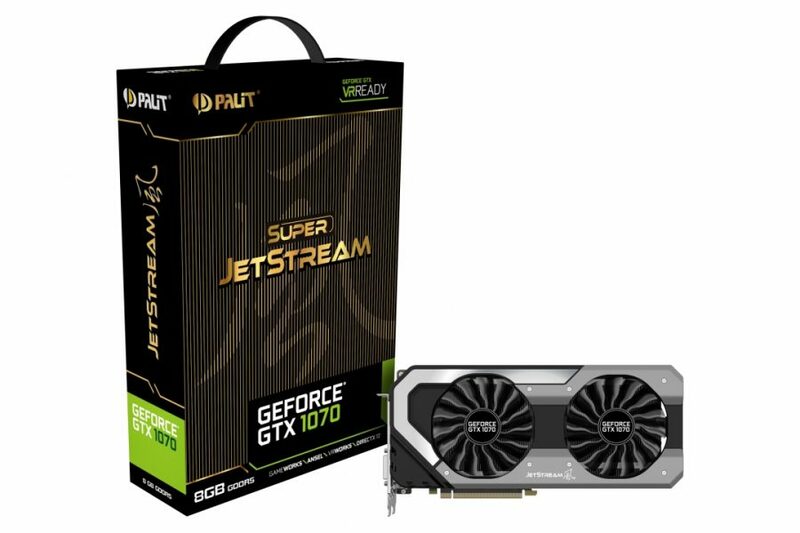 Palit Microsystems Ltd, the leading graphics card manufacturer, releases the latest Pascal architecture Palit GeForce GTX 1070 Series. With new technologies, GTX 1070 offers a true cinematic experience and amazing new image-capture to share your game. The brand new gaming series, Palit “GameRock” is specially designed for enthusiast gamers who desire to have the ultimate gaming experience. 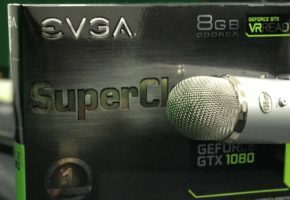 GameRock series provides the best gaming features, the best thermal solution and the best graphics card quality, make you become a real game rocker without any fears. Adding RGB LED lighting feature, the color lighting from RGB LED can be changed in accordance with graphics temperature. 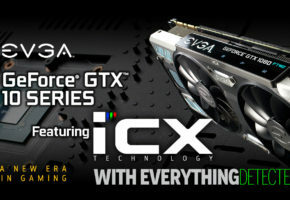 Also with GameRock Stylish Backplate to provide the better graphics card protection and avoid any physical impact. 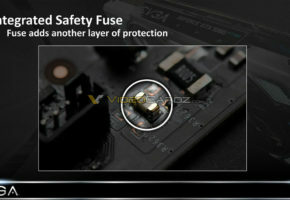 The dual BIOS features activates the protection mechanism when an error occurs in one of the vBIOS. 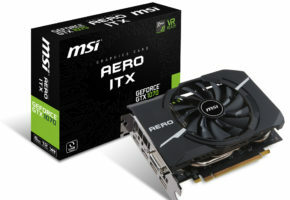 This allows the graphics card to be functional again in the event of system failure. With the 0-dB Tech, there is zero noise while you are at general workload, such as internet or multi-media application. 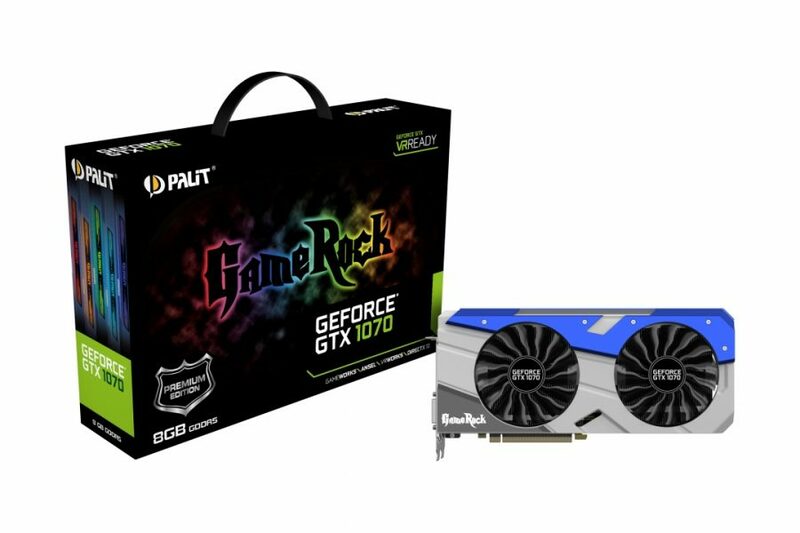 Stay Quiet, Stay Cool and Enjoy the High gaming performance with Palit GameRock series. 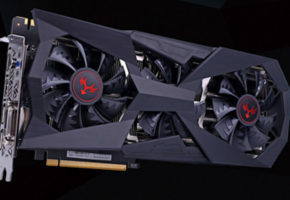 The Palit GeForce GTX 1070 is based on the NVIDIA Pascal™ architecture GP104 GPU armed with 1920 CUDA cores and equipped with 8GB of GDDR5 memory on a 256-bit bus. 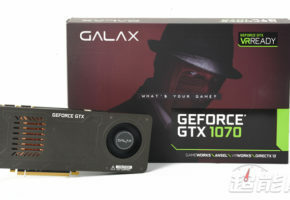 Palit GeForce® GTX 1070 graphics card delivers the incredible speed and power of NVIDIA Pascal™—the most advanced GPU ever created—for truly revolutionary gaming and VR performance. 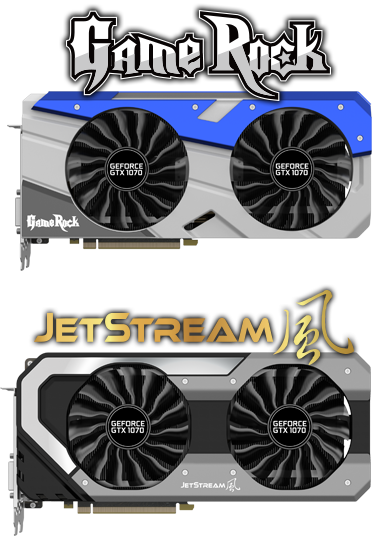 Palit releases GameRock and JetStream series of GeForce GTX1070 series, to fulfill different needs of PC users.